You never really knew how many different shades of gold you can make out of green until you’ve seen the cannabis concentrates section of a dispensary or a cannabis convention. Seeing and smelling well-made marijuana concentrates for the first time may make you crave sushi if you happen to love it since wasabi is one of the only other things on this planet that resembles the texture of wax….besides ear wax of course. 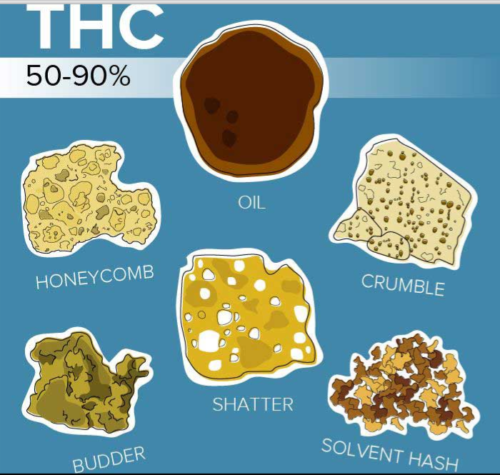 You may have to remind yourself that shatter or cannabis dab oil is for vaping, and of course dabbing, but not licking raw with your tongue given how it comes in virtually as many light and dark golden shades and grades as does honey. Seeing the strange exotic dab tools covered in bright, sweet, and aromatic substances may send your mind flashing back to memories of eating with chopsticks for the first time. 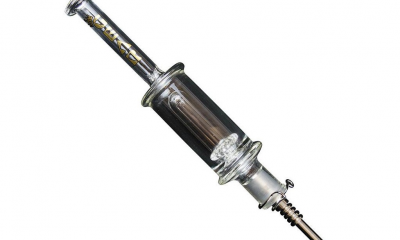 The blow torch may make you crave creme brulee, cherries jubilee, or gourmet smores if the space you’re having your first dab in is clean and pleasant enough. But enough waxing poetic (can you tell we love dabbing? ), let’s get to the good stuff. Dabbing is similar to smoking your cannabis through a bong. But instead of packing a bowl with dried bud, you burn a special form of cannabis (an extract or concentrate) instead. After that, it’s just like hitting a bong: you inhale the vapor and fly away. 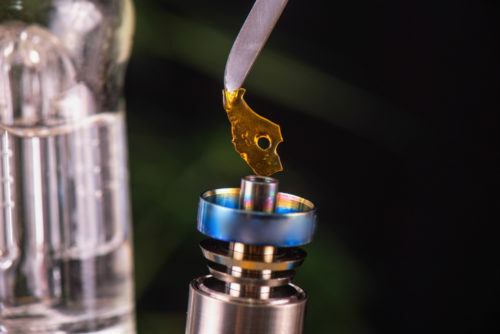 Dabbing gets its name from the small blobs (or dabs) of concentrate that, when combined with a special rig (a dab rig), get you thoroughly and completely high. We’ll talk about the cool equipment in just a bit. But first, let’s learn about dabs specifically. Dabs are single-serving hits of cannabis concentrate that are usually no bigger than your pinky nail. And before you say, “I need more than that tiny dab,” let us assure you, that’s plenty. Dabs are concentrated cannabinoids, and even that small amount can get you well and truly effed up. Wax and shatter are pretty much the same thing. The only real difference is how they look: wax is waxy, while shatter is solid (like a piece of hard candy). That said, there are some significant use and storage differences between the two. Wax dabs are easy to produce, while shatter is finicky and requires a lot of attention and care during the extraction process. Wax dabs degrade faster, while shatter lasts a long time. Wax is easier to handle, measure, and use because of its consistency, while shatter is hard to handle because it’s so brittle. For the rest of this article, we’ll focus on wax and shatter. The contemporary art of dabbing concentrated cannabis owes its origins to the dubious method of getting high known by hippies as “hot knifing,” in which a desperate stoner who is broke (or who just can’t find someone to buy weed from) heats up two butter knives until they’re red hot on a stove top in order to combust nasty old resin built up and scraped off of pipes and bongs. This butane laden resin was and is still often ironically mixed with fine-grade high-quality kief crystals that accumulate at the bottom of a three-chambered grinder before it is hot-knifed. Traditional Moroccan style hash, which is essentially kief heated and pressurized into a concentrated sticky green substance, was also hot-knifed by stoners in the 60s and 70s when they’d lose their hash pipes. Such resin fumes are typically inhaled through a plastic soda-pop bottle cut in half. 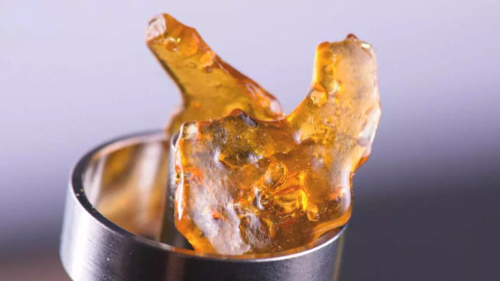 Dabbing culture is far and away the most controversial corner of the cannabis community, and dabs themselves are often known as the crack of cannabis due to the associations that the blow torch can conjure up for many initiate as well as veteran users of cannabis. The controversy around dabbing isn’t based on groundless hearsay. Butane hash oil (BHO), an often misunderstood method of creating marijuana concentrate, has the potential to create powerful explosions when made by amateurs and is why you should never attempt to make your own BHO at home. Amateur BHO makers have become a PR nightmare for cannabis legalization activists and legit dispensaries. Dabbing didn’t passively rise above its dubious origins to become a favorite celebrity pastime and a lucrative business with its own unique culture within the global cannabis community by a bunch of stereotypically couch locked stoners. The dab scene grew in tandem not only with industry events such as the Cannabis Cup, but also with successful marijuana legalization efforts across the country. Veteran cannabis smokers typically discover concentrates from dab evangelicals such as Laura Notini, the great state organizer of the NYC Cannabis Parade, a board member of Empire State NORML and a regional coordinator for the NORML Women’s Alliance, who specifically enjoys educating, sharing, and impressing other hard-working cannaseur activists with the joys of dabbing. 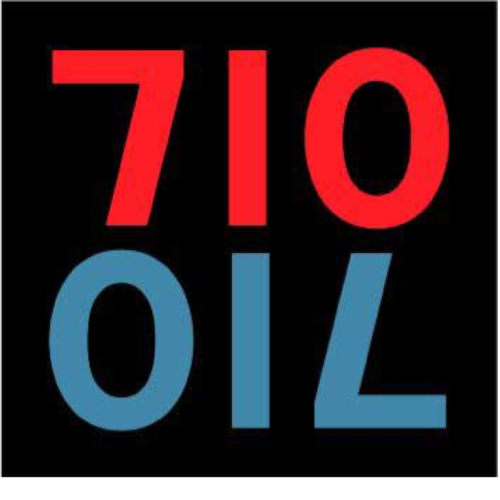 Dab aficionados across the country use the numbers 710 which looks like the word OIL if you flip it upside down. This is why 710 symbolizes the culture of dabbing and vaping concentrated cannabis commonly extracted with high pressurized butane oil or with ice water the same way the numbers 420 symbolize raw cannabis flower smoking culture. You don’t need to be a rocket scientist to blast yourself off into a whole new dimension with a good dab! First, heat up your specially made titanium, quartz or ceramic nail with your creme brulee blowtorch in a slow circular manner. Then use your titanium or glass dab tool to literally dab or apply a dab from your concentrate container onto the heated nail. Place your dome and/or oil rig over the heated nail in order to inhale the vapor of the concentrate you just dabbed on it. The technology involved in the production process of extracting terpenes from cannabis has evolved a long way from the old hot knifing method used by hippies into a cutting edge billion dollar industry. Terpenes are the cream of the cannabis crop with a diverse array of health benefits. Terpenes are naturally found in fruits, veggies, herbs, and spices. Cannabis terpenes are oils secreted from the plant’s glands saturating it’s flower tops. 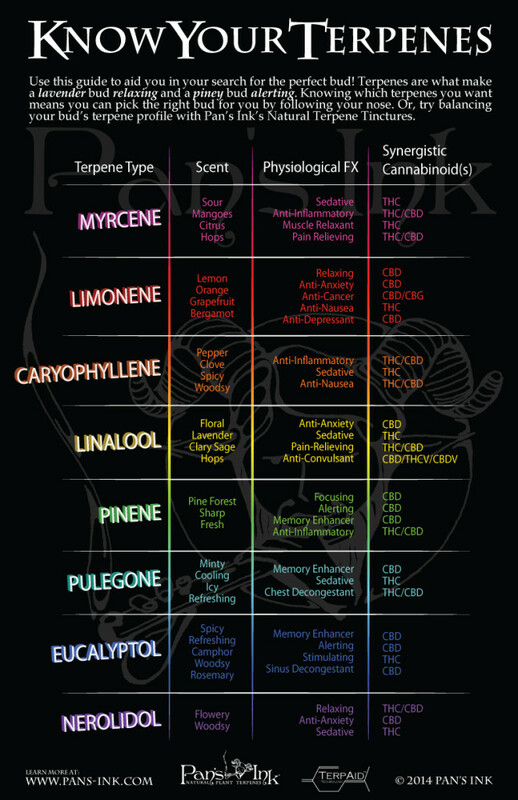 Terpenes are what give cannabis its aroma as well as much of its character in terms of the high it gives you. Certain kinds of terpenes are good for certain conditions such as asthma, memory function, muscle relaxation, gallstones, heartburn, breast cancer, stress, depression. As marijuana legalization expands across the US, the medical advantages of dabbing concentrates are becoming increasingly accepted. The quick-acting and potent nature of dabbing can provide more powerful, faster acting relief than combusting traditional cannabis flower or ingesting tinctures or edibles. Doing a dab saves time for people who use marijuana to function in their daily lives. Dab vapor doesn’t linger and stick to hair and clothes as much as traditional cannabis flower which is why dabs are often viewed as a stealthier option for many stoners. The potency and taste of terpenes concentrated into dabs are great for veteran recreational cannabis consumers who have higher than average tolerances in addition to being ideal medicine for people experiencing debilitating pain. The legal dab scene is a source of so much innovation in the cannabis community in terms of flavor, experience and the technology underneath the art of getting high that choosing the right dab rig for yourself alone can be a bit intimidating…and costly. The Cannabist reports that dab rigs can run anywhere between $50 and $50,000 for custom rigs made by artisanal glassblowers. One thing to remember when enjoying dabs is that all dabs are concentrates but not all concentrates are dabs. More specifically, wax, budder, and butane hash “shatter” oil will be the primary forms of dabs that you are likely to encounter. How Will The Hit Hit Me? The main reason why dabs may be considered dangerous is because they are so much damn fun! And fun, of course, is the most addictive drug of all, which is why it’s best to always enjoy all forms of fun in moderation just like dabs because dabs will do you in and you will love it no matter how seasoned a marijuana enthusiast you may be! Comedian Kat Williams said “my high got high!” the first time he dabbed. 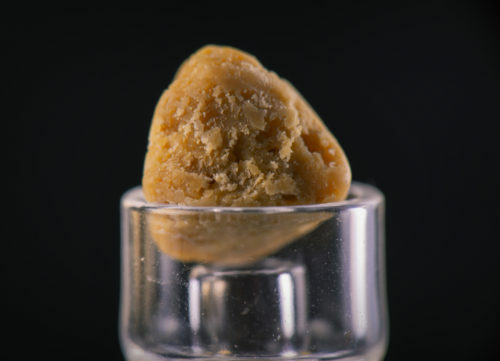 Make sure you start with a small amount of wax, shatter, or budder the first time you dab. 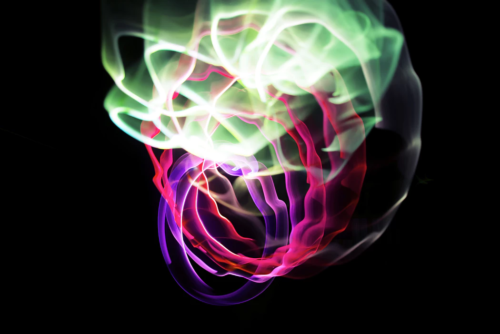 The other key to controlling the level of consciousness you want to keep, or obliterate, when dabbing has to do with how deeply and how long you hold the vapor in before exhaling the dab hit. You don’t need to inhale your dab hits anywhere near as deeply or as long as you would ordinarily inhale traditional combusted cannabis flower, especially for your first time dabbing. The rapper B Real from Cypress Hill also advises not to stand up on your feet too fast after doing a dab, especially if you’ve been sitting down on a chair hunched up over your rig setting it up. How Are Dabs Normally Made? All dab making starts with removing the cannabinoids and terpenes from the cannabis plant matter. You can do this in a number of ways, but the most common method is butane extraction. In butane extraction, you force butane through a container of cannabis flowers. Butane, by nature, is a solvent, so when it comes in contact with the plant matter, it separates the essential oils (cannabinoids, terpenes, trichomes, and flavonoids) from the leaves, stems, and stalks. After you remove the plant matter, the essential oils stay in solution (dissolved in the butane) until the butane evaporates. Once the butane is gone, you’re left with butane hash oil (or BHO for short), a highly concentrated oil that dries into shatter or wax. Butane extraction sounds simple enough, but it’s not. Butane is extremely flammable and can explode with the smallest spark. And you may not think there’s anything sparking in your kitchen, but refrigerator compressors and fans of any kind create sparks you never see. You can even cause a spark just by walking over the carpet and touching something metal (or someone else). Do NOT use butane extraction at home in your kitchen to make dabs. Dab manufacturers spend thousands of dollars on fancy, specialized equipment that makes butane extraction safe and easy. There’s no reason to risk life and living space for a few measly dabs. There are much easier and safer ways to make dabs. Try this non-toxic, non-explosive method instead. And lest you wonder where in the heck you’re going to find 100-percent pure alcohol, rest easy. You can buy it at your local drug store or grocery store — it’s called isopropyl alcohol (that’s the “ISO” in QWISO). In fact, isopropyl alcohol is not meant for human consumption. That means don’t put it in your mouth, boys and girls. We know it’s hard, but just don’t. And if you’re worried about alcohol left behind when you’re done, don’t fret. The vast majority of it will evaporate during the “cooking” process. Isopropyl alcohol is flammable. It’s nowhere near as flammable as butane, but you still shouldn’t handle it around an open flame. So don’t try this recipe if all you have available is a gas stove. Break your bud into small pieces. 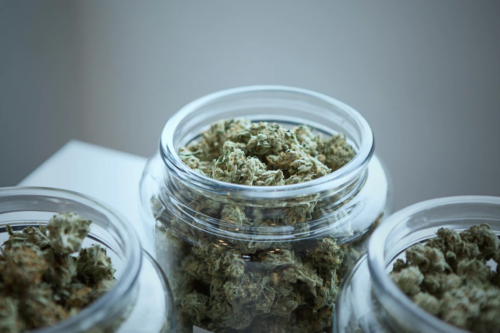 Place your bud in an oven-safe container (a cookie sheet works well) and dry it in an oven set to 200 degrees Fahrenheit for 20 minutes. Once the cannabis is dry (looks and feels brittle), put it and your container of isopropyl alcohol in the freezer for four hours (don’t worry, the alcohol won’t freeze solid). Now comes the hardest part — the waiting. After four hours, pour enough isopropyl alcohol over the bud to cover it by at least one inch. Gently swish for 20 seconds. Let the solution sit for a few minutes. Gently swish for another 20 seconds. Pour the solution through a mesh screen to separate the bud from the alcohol. All we need is the liquid from here on out so set the plant matter aside. Pour the alcohol through an unbleached coffee filter into another container. Wring out the coffee filter to extract as much of the alcohol as possible (remember, it also contains a whole bunch of cannabinoids so really wring that sucker). Use a warm water bath to speed the process. Put the water bath on the stove at low to medium heat (don’t boil) until you see the liquid start to evaporate. When all the alcohol is gone, you’ll see a waxy/oily substance in the bottom of the container. These are your dabs! Scrape the material out and place in a glass container with a lid for storage. Enjoy your fresh dabs or store in a cool, dry, and dark space until you’re ready. Remember the plant matter you set aside at the beginning of the process? You can run it through another isopropyl alcohol wash to get every single drop of canna-goodness. This time through, swish for a minute and let the solution sit for up to five minutes to dissolve all the remaining cannabinoids. Then proceed from step nine in the list above. The best way to experiment with dabbing — or any new marijuana endeavor for that matter — is to start small and take it slow. Remember, dabs are concentrated cannabinoids (the minimum is usually 70% THC or CBD! ), so it doesn’t take a lot to get really high. If this is your first time dabbing, try one hit and wait five minutes to see how your body reacts. You’ll typically feel an effect immediately, but those effects won’t reach their peak until five or 10 minutes in. Be patient. You don’t want to overdo it on your first hit. If you don’t feel anything or you need more to be satisfied, hit the dab rig again. At your next dabbing session, increase the amount of dab per hit until you find the ideal amount. 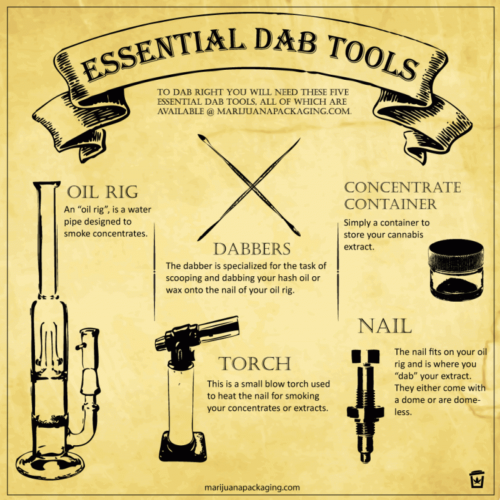 The post Dabbing: A Beginner’s Guide appeared first on Honest Marijuana.